October is Breast Cancer Awareness Month and I’m sure you’ve been seeing a lot of pink around. If you have and didn’t know what it’s for, then this is your notice. This is also your notice to go and have a mammogram done especially if you’re over 40 like me. As much as it pains me, I have made October be the month to be squished. But that’s OK. I want to be around as long as possible. 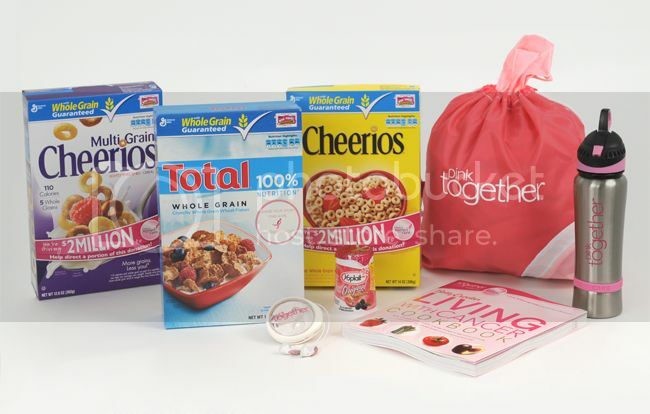 This year, 2011 Pink TogetherTM teamed up with General Mills in celebrating hope. PinkTogether.com is an online community of people who have been touched by breast cancer and share a passion for the cause. Here you can share messages of hope and others’ personal journey. If you wish to share your personal story to encourage others and give them hope, you can do that here too. When you visit PinkTogether.com, General Mills will donate $1 to the Komen organization for each Message of Hope that is sent to someone who has shared their story on PinkTogether.com (up to $25,000) during October. 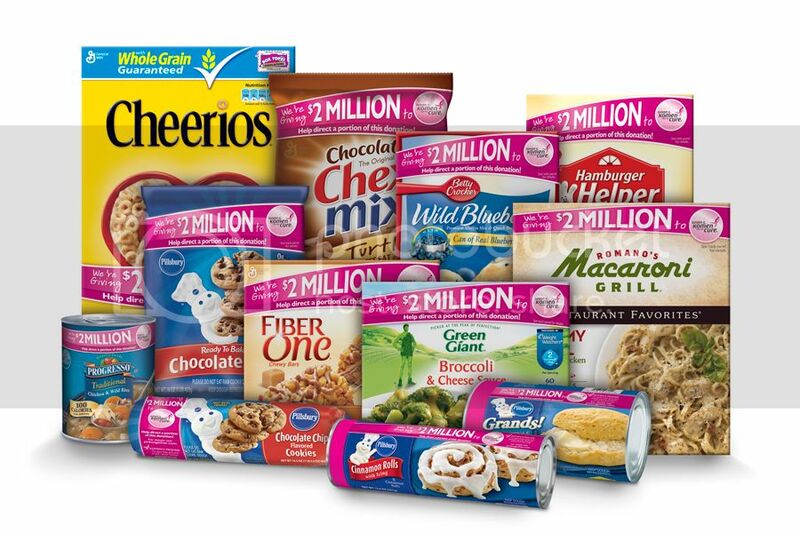 This is in addition to a $2 million donation General Mills is making to the Komen organization. For the first time in its five-year history, at PinkTogether.com consumers can choose how $1 million of this donation will be shared between two important Komen programs: the Treatment and Assistance Program, which assists women in securing care they otherwise may not be able to afford, and Prevention Research, which helps unlock the keys to preventing breast cancer. Visit PinkTogether.com from September 19, 2011 through April 14, 2012 to make your choice. Results will be announced on Mother´s Day 2012 – Sunday, May 13. 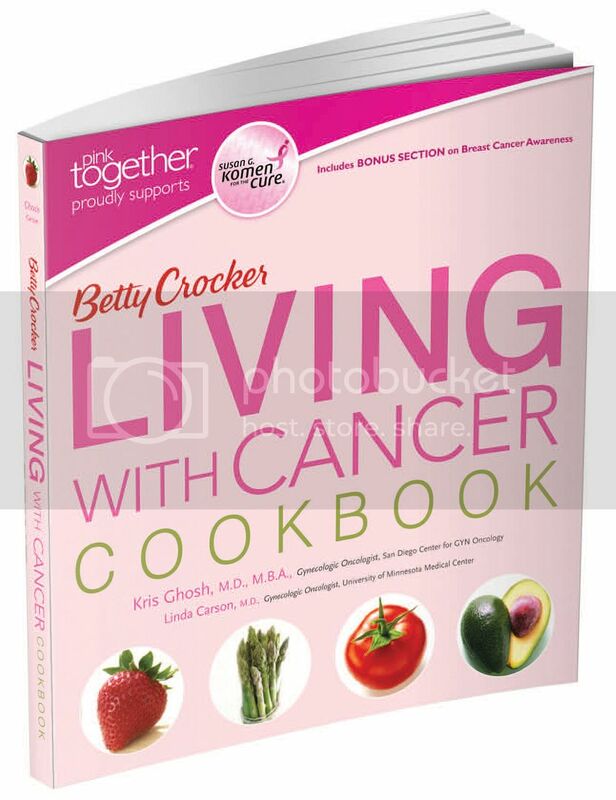 I received this very cool Pink Together prize pack which includes a really great cookbook, Living with Cancer, from Betty Crocker. There are some really great recipes in there in addition to useful information for anyone undergoing cancer therapy (or caring for someone who is). To end this month on a high note, you can win this exact same prize pack right here! END DATE: This giveaway will end on October 31, 2011 (midnight EST) after which commenting will be closed. Winner will be announced soon after and notified by email. If picked, you will have 48-hours to reply with your mailing address or another winner will be chosen. THIS GIVEAWAY IS NOW CLOSED. WINNER WILL BE ANNOUNCED AS SOON AS THEY HAVE CONFIRMED. 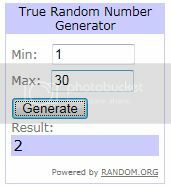 THANK YOU FOR ENTERING THE GIVEAWAY! The winner for thie giveaway was comment #2 from Jessie! Thanks again to all who entered the giveaway!